lenovo z5170 non touch black painting metal 15.6 fhd flat with edp slim 3.8mm dedicatedgpu 2gb amd r adeon r7 m360 i5 5200u 8gddriii 8g sshd 1t hdd 9.5mm win 8.1 em odd rambo back lit key board bluetoo th jbl speakers 2x 2.5w dolby home theater 2*usb3. 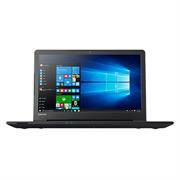 Lenovo Z5170 Bundle (80K6008QSA) - 15.6"
Shopprice is always committed to save every cent of your hard earned money by finding the best and the lowest prices, best bargains and hot deals on amd laptops that fits your budget and requirements. Helping you to get the best deals on amd laptops on various special occasions like Christmas Day, Fathers Day, Mothers Day, Foundation day and so on.